It was 40 years ago: activists defeated coal slurry pipeline eminent domain legislation in the U.S. House of Representatives. I was proud to write an 11,500 word article that had an impact. I remain inspired by the power of investigative reporting and activism in American life. 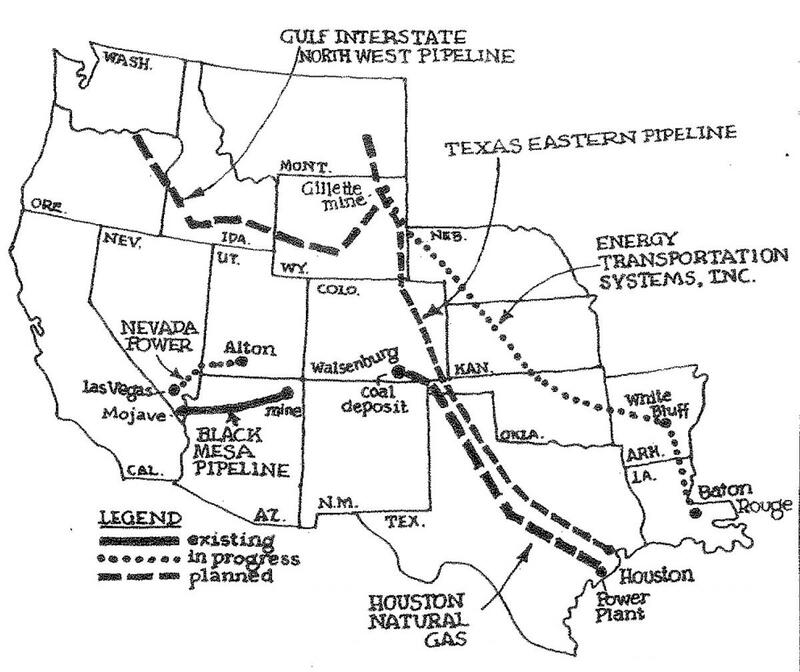 On this date in 1978, the U.S.House of Representatives defeated coal slurry pipeline eminent domain legislation. A coalition of environmentalists, farmers, ranchers, libertarians, unions, railroads and good government advocates defeated Bechtel and other multinational construction companies, coal companies, electric power monopolies, the Who's Who of Houston, and deluded pseudo-liberals including Rep. Morris K. Udall and Rep. Bob Eckhart, beholden to corporate interests that employed Pat Jennings, former Clerk of the House, as their cartel's lobbyist. Bechtel's Washington, D.C. pipeline lobbyist threatened me as I completed my 11,500 word article for Crossroads (formerly Coal Patrol): "If you write that article, you'll never work for the State Department, knowing I was a statement in the School of Foreign Service - Georgetown University. I responded, "ma'am, I don't want to work for the State Department." Within three years, both the Secretary of State and the Secretary of State were former Bechtel executives -- George Schultz and Caspar Weinberger. It was my first-ever published investigative article; it was (minus campaign finance facts) published in the Congressional Record by Rep. Joe Skubitz (R-Kansas). My late college roommate, Ed McElwain, had turned me on to coal slurry pipelines after researching them for Colorado Senator Gary Warren Hart. Lessons learned: defeating multinational corporations is fun, environmental protection is everyone's job, investigative reporters really do have more fun, and there is nothing that you can't do in this great country if you put your heart, mind and soul into it. A "technological turkey" was denied government favoritism -- eminent domain -- by a diverse coalition. The environment, Wyoming water, farms, ranches, the Madison Formation, Wyoming, jobs and competition were protected from dangerous water-wasting pipelines using hexavalent chromium (the poison at issue in Erin Brockovich), which would have polluted Arkansas. I am inspired by all of the environmental and consumer activists fighting "President*" DONALD JOHN TRUMP's environmental wrecking crew. I am likewise inspired by St. Augustine's Nelmar Terrace and Fullerwood residents, who successfully took on both a state agency (Florida School for the Deaf and Blind) AND a Japanese multinational corporation (7-Eleven), defeating FSDB on eminent domain demands on their neighborhood and and defeating 7-11's indecent demands to build a gasoline station in our historic area at May & San Marco. The site will now become a roundabout, under construction by FDOT. I am likewise inspired by the Old City South neighbors who sought to halt an unwanted, illegal hotel in their St. Augustine HP-1 neighborhood. One of the avid supporters of that project, JOHN OTHA VALDES (JOV), is running for City Commission seat 4. Touting his 23 years of "experience," jive jovial JOV was fined for destroying a building without a permit -- tined the munificent sum of $224 by our compliant Code Enforcement Board. As LBJ said after Selma, "We SHALL overcome!"